When was the last time you took a few days to just get out of town and explore somewhere new? Yeah, that’s what we thought. Stop adding things to your “Vacations (someday)” Pinterest board and just hop in the car and drive. 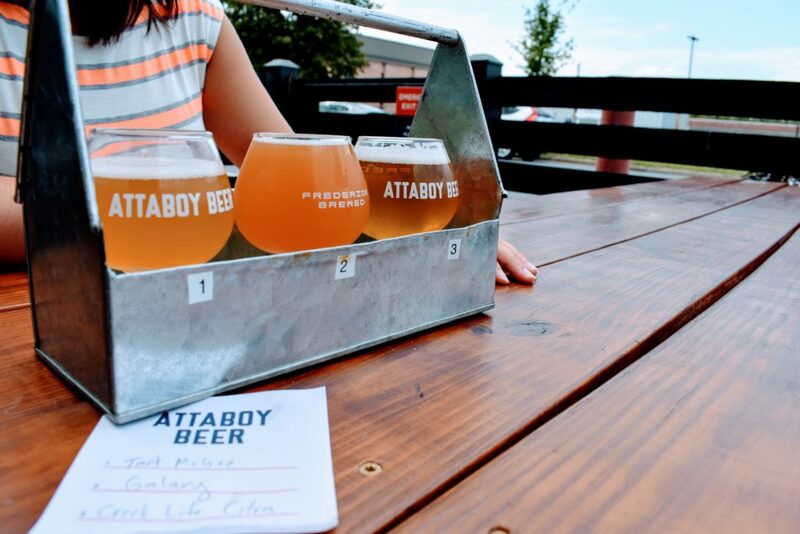 If you live in D.C., Baltimore, Philadelphia, or even Pittsburgh or Richmond, your weekend destination isn’t as far away as you think. 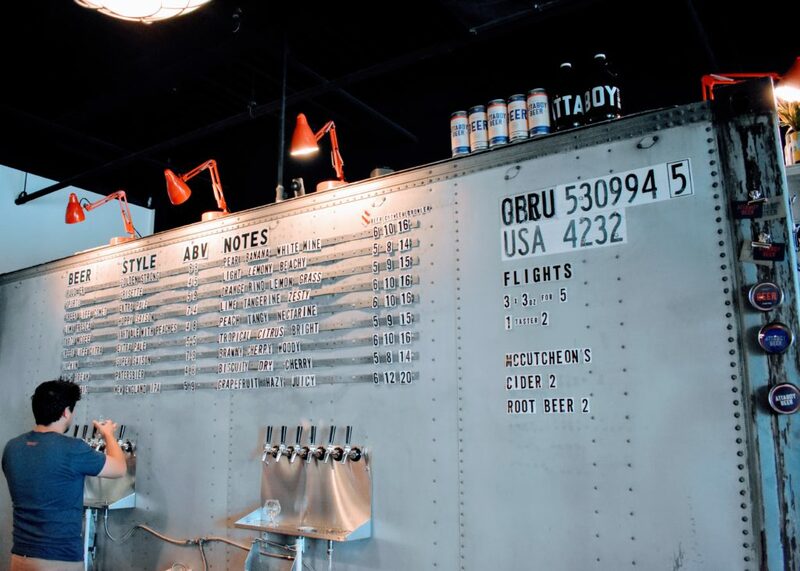 Just an hour from D.C., Frederick, MD is surrounded by mountain views, wineries, orchards and the state’s largest brewery. 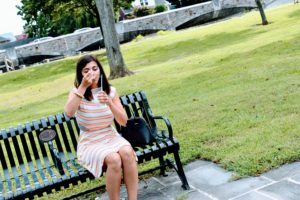 And because planning a vacation is the least fun part of actually taking a vacation, we partnered up with Visit Frederick to give us the inside scoop on how to take on Downtown Frederick like you know what you’re doing. Melissa Muntz, Marketing and Communications Coordinator for Visit Frederick, starts us off at (where else) the Frederick Visitor Center. 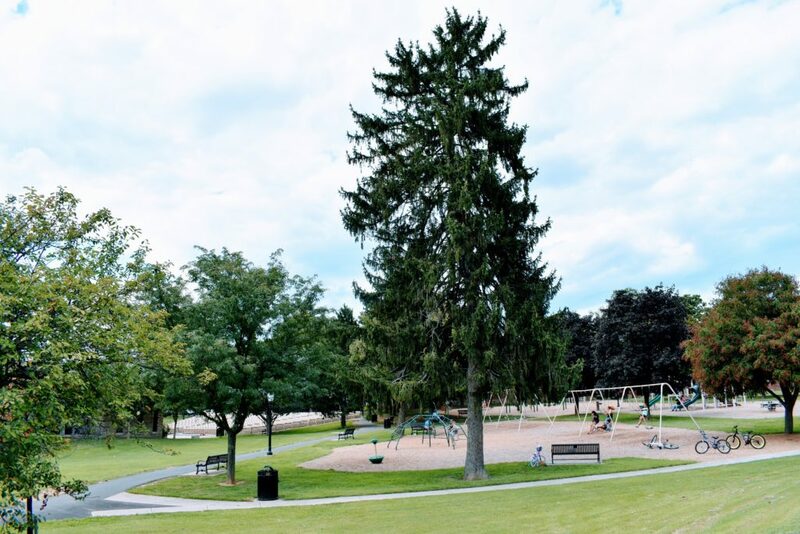 Located at 151 S East St, the Visitor Center is a great place to drop your car and catch your breath before heading into the rest of downtown. 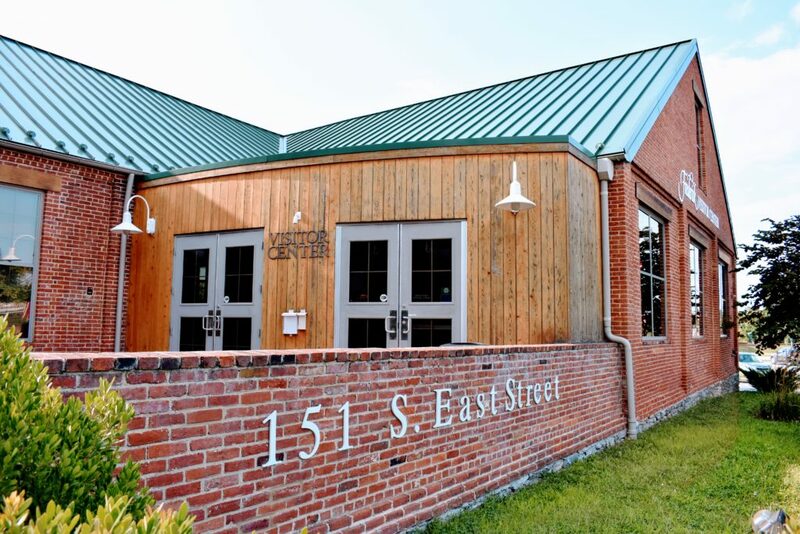 You can leave your car in the E All Saints Street Public Parking Garage and spend the weekend on foot for a care-free experience, or park out back at one of their temporary Visitor spaces if you’re just popping in for a quick visit. 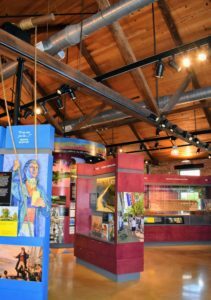 Once you’ve ditched the wheels, pop in to the Visitor Center to get an idea of the special events that are going on during your stay. 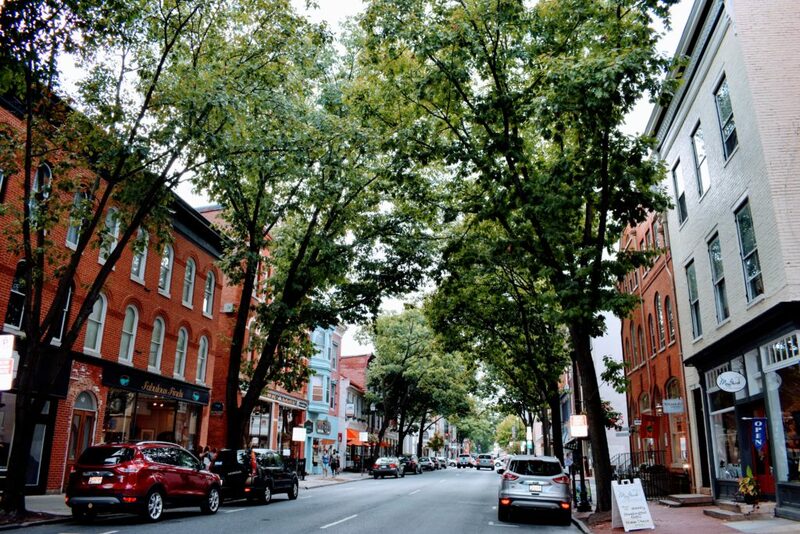 If you time your trip during the first weekend of the month, you can make a night of it with Downtown Frederick’s First Saturday. Shops stay open late, there’s music on the streets, and a free trolley to get you where you’re going. And now… we’re off! 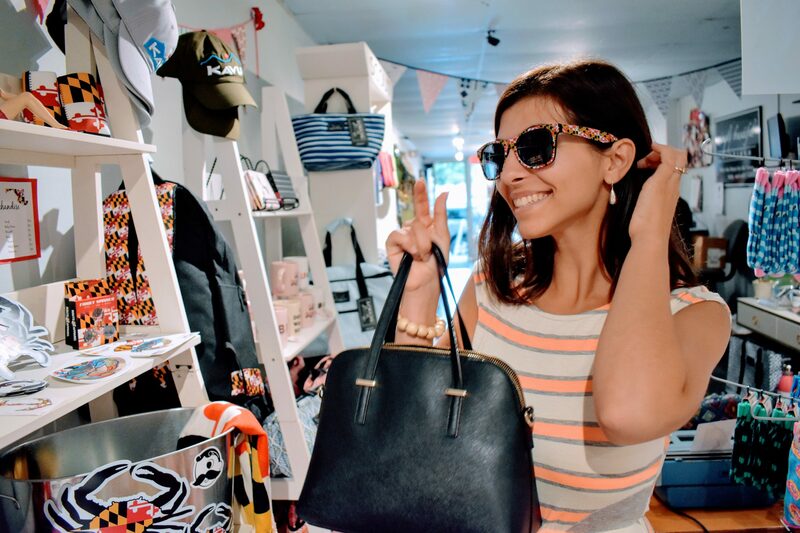 With Melissa as my guide, we set out to create the ultimate tourist experience for Downtown Frederick. 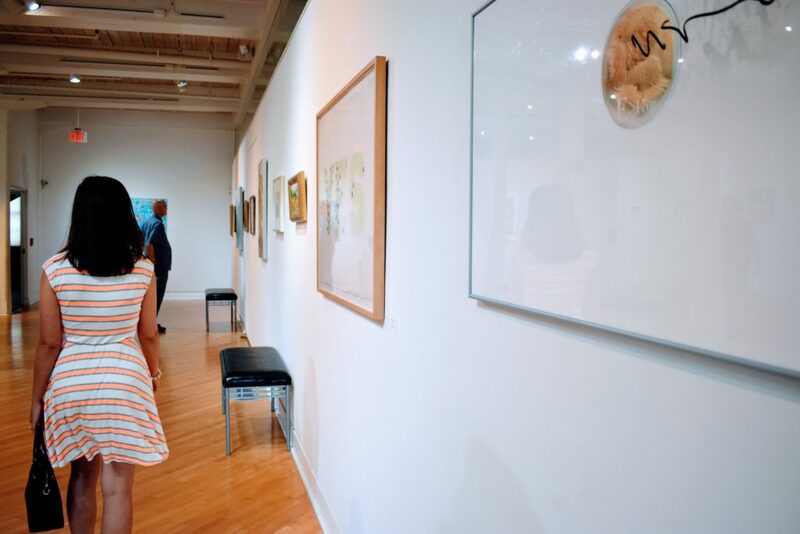 Located at 40 S Carroll St, the Delaplaine Arts Center is just around the corner from the Visitor Center, so it’s a great way to start your trip. It’s open seven days a week, admission to the building is always free, plus it’s dog-friendly! 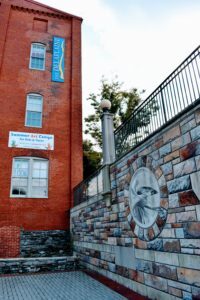 Some of Melissa’s favorite stops include the upstairs gallery (where you can sneak the perfect view of the Community Bridge’s famous anamorphic projection mural), then back down to the gallery gift shop before exiting through the beautiful gardens that line Carroll Creek. 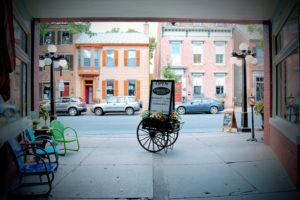 With its double entrances that span most of a city block, Melissa calls Emporium Antiques her favorite secret cut-through in Downtown Frederick. 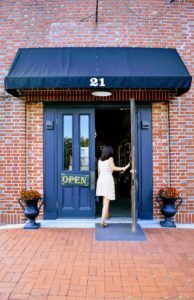 You can either go in the main entrance at 112 E Patrick St, or come in the back at 21 S Carroll St. Another dog-friendly stop, Emporium Antiques is the kind of place where you can get lost for days… and I don’t exaggerate. 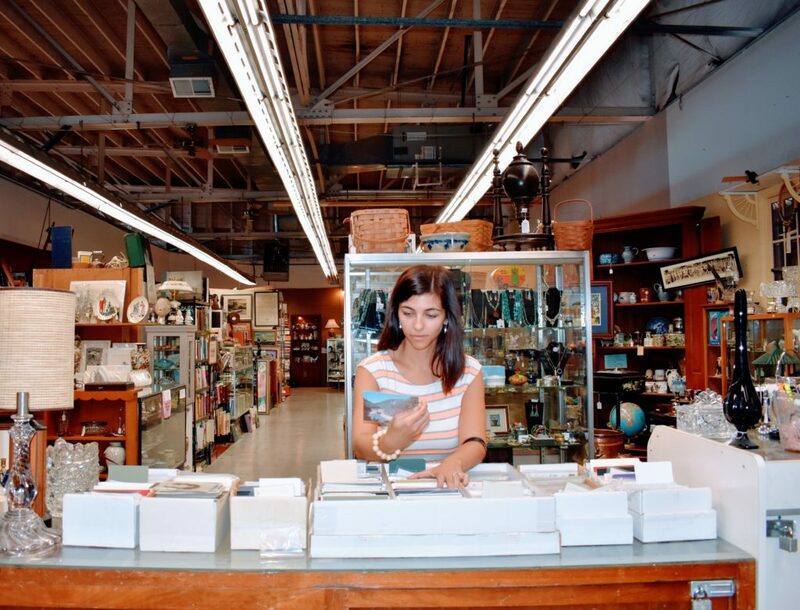 Melissa says you have to check out the vintage postcards section, so start there and then just let your eye lead the way. 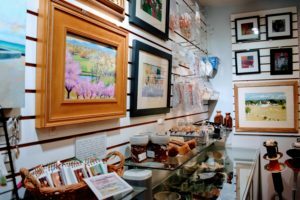 This is an especially great stop if the weather is less than perfect outside, or you’re looking to spend a lazy morning just browsing and daydreaming. …and just like that, we’re on Patrick Street! Let the shopping continue. 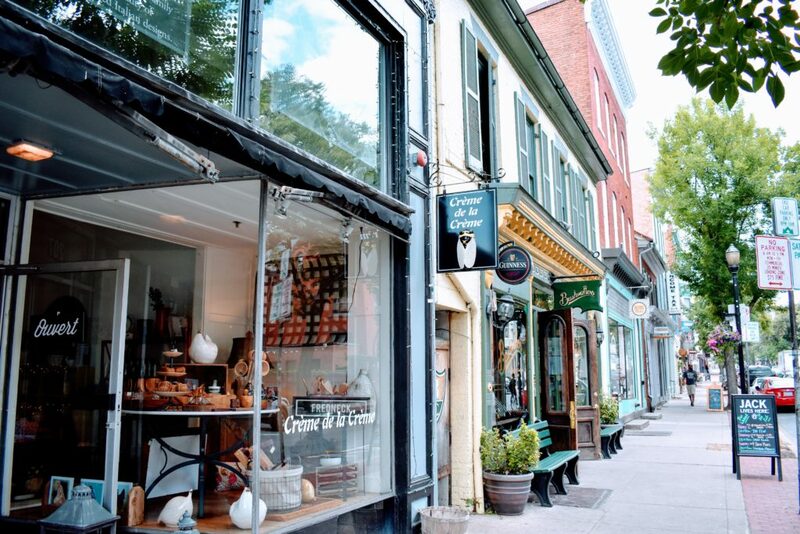 No trip to Downtown Frederick would be complete with a little (okay… a lot) shopping and dining. Melissa says the best thing to do it just start walking. 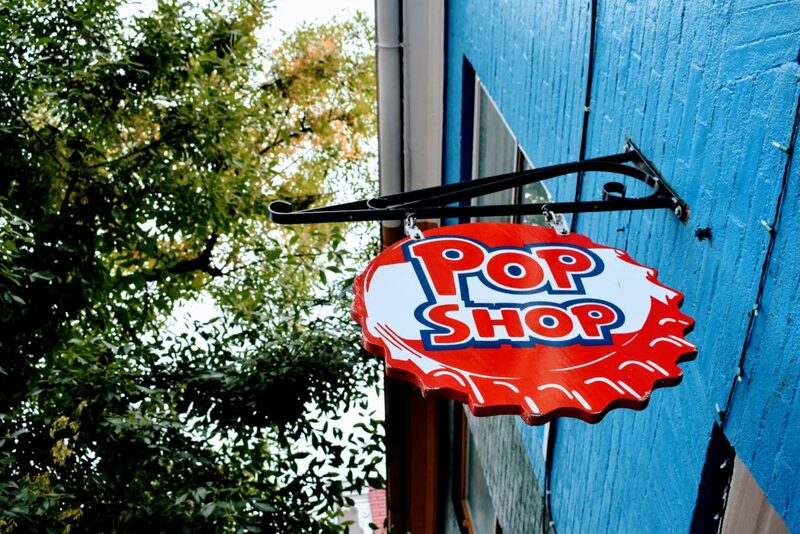 As you head up Patrick Street you’ll pass by dozens of unique stores, like Ec’clectibles, Dancing Bear Toys, Dream House, Venus on the Half Shell, Vinyl Acres, Fabulous Finds and the list goes on! 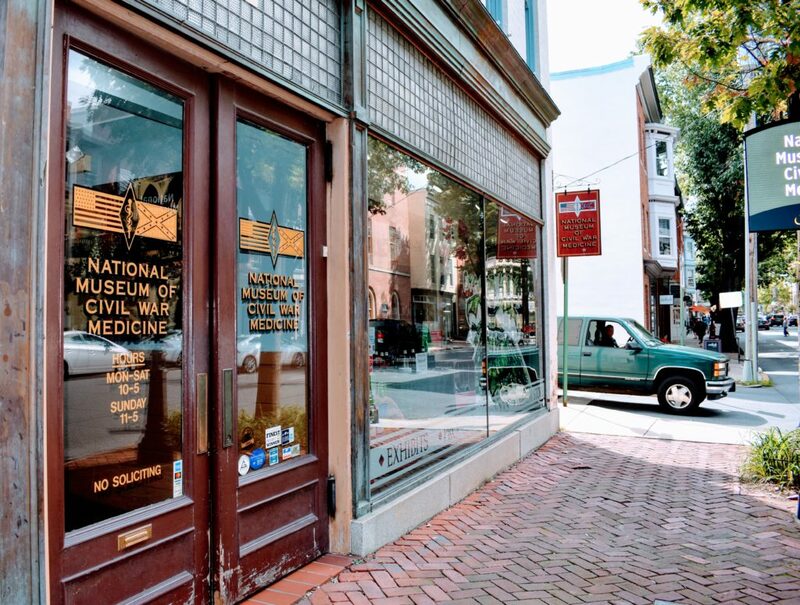 If you’re a history buff, you definitely don’t want to pass up the chance to see Downtown Frederick’s most visited tourist attraction, the National Museum of Civil War Medicine at 48 E Patrick St. Tucked between Brainstorm Comics and Relish Decor, the museum follows in the footsteps of soldiers and surgeons to discover the harsh conditions, personal sacrifices, and brilliant innovations of Civil War Medicine. 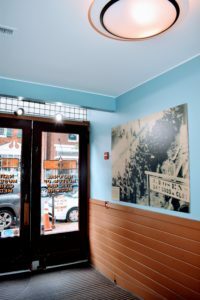 Melissa even shares her own insider secret to, at the very least, check out the historic photos on display inside the main entrance. 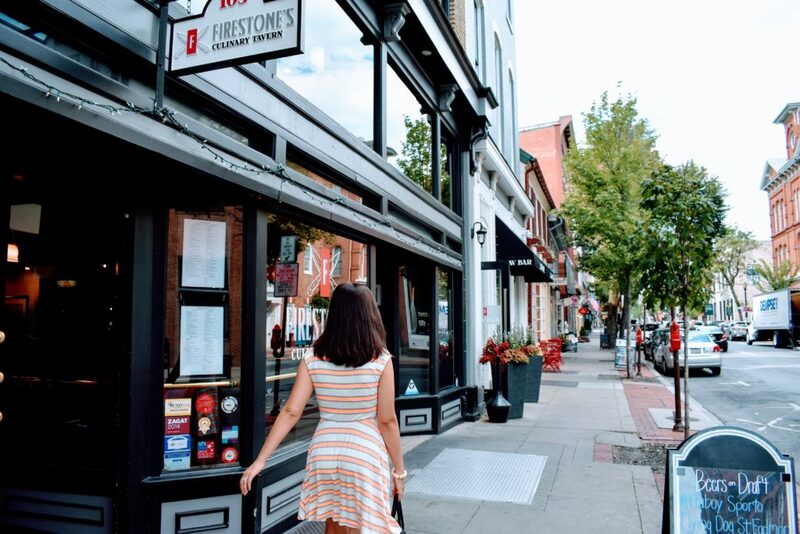 By now, you’ve surely worked up an appetite so Melissa recommends heading toward Firestone’s Culinary Tavern at 105 N Market St. 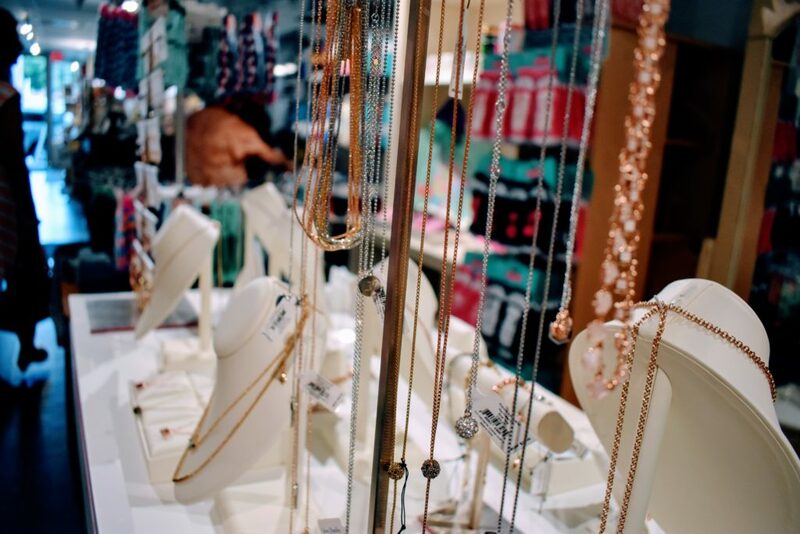 Situated right next to Firestone’s Raw Bar and Firestone’s Market on Market, you’ll undoubtedly be able to find something that fits whatever you’re in the mood for. 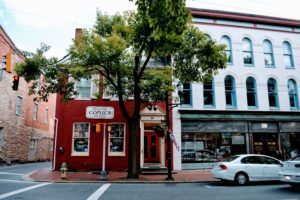 There are a ton of amazing restaurants in Downtown Frederick, so it’s also never too early to start window shopping for your dinner spot. 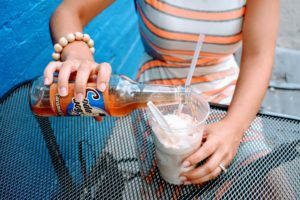 After you’ve got that warm, full-bellied feeling, walk it off on your way to a root beer float. Yeah… we’re not kidding. You’re on vacation!! Don’t worry though, you’ll be plenty distracted along the way, so you’ll be ready for round two by the time you reach dessert. We had to make more than a few pit stops on our way up Market Street. 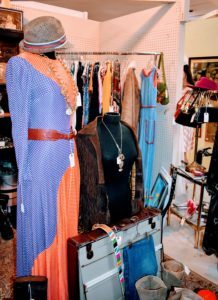 The shopping is unbeatable and offers everything from clothing and jewelry, to books, records, outdoor gear and home decor. 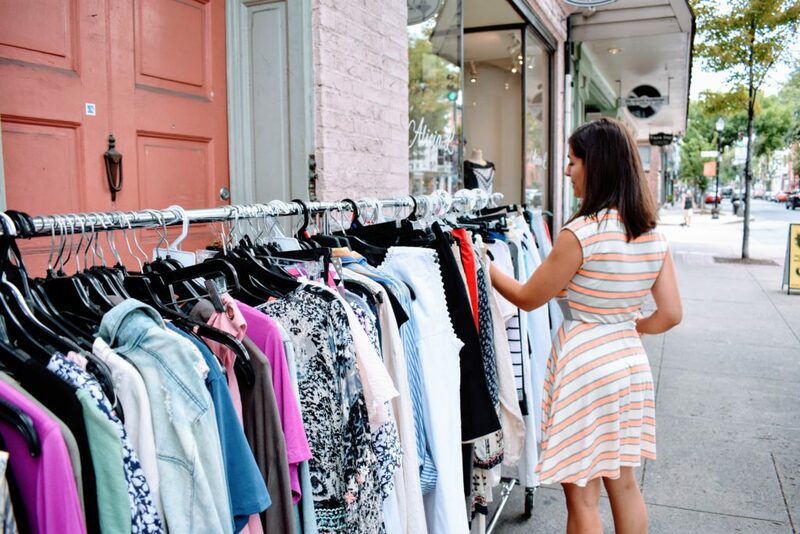 Every store you walk by is worth checking out. You never know what you’re going to find! 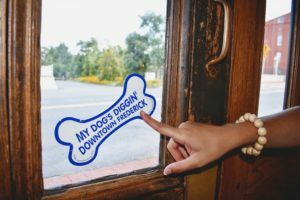 For a complete list of downtown shops, visit downtownfrederick.org or ask a shop-owner where you can grab a Downtown Frederick tear-off map. 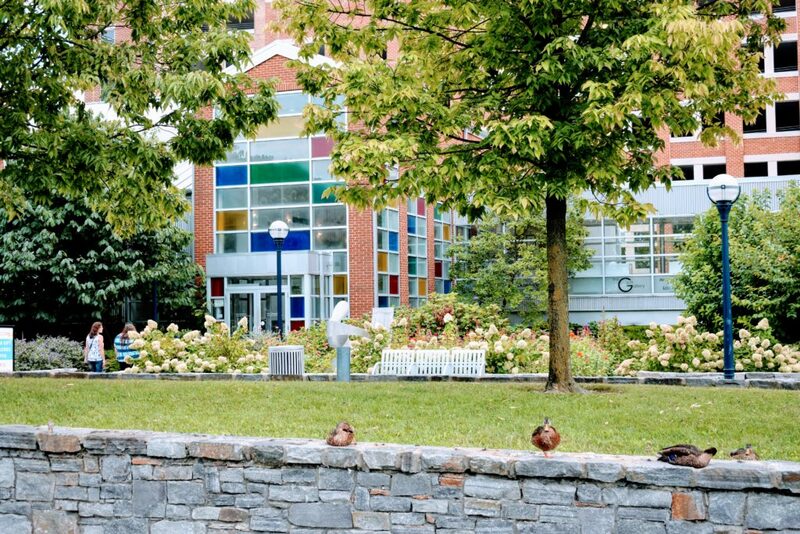 When you see a cheery blue building in the distance, you know ice cream is within your reach. 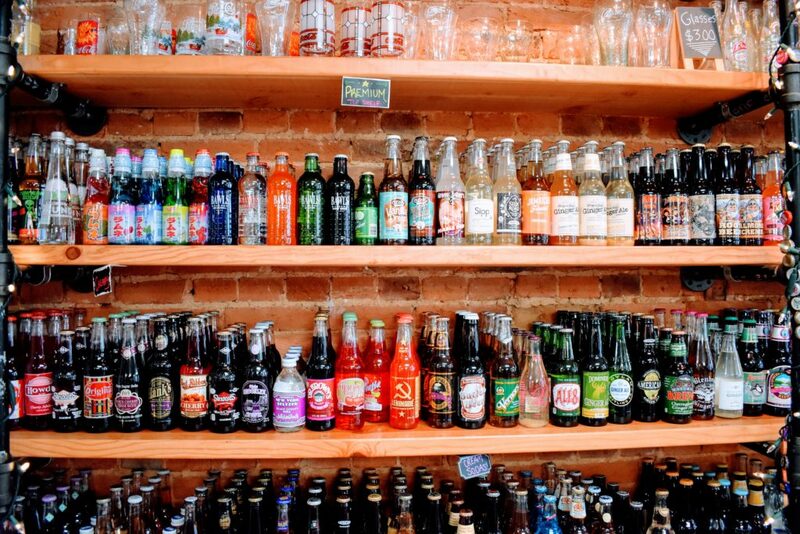 Melissa says that the floats from North Market Pop Shop are her favorite guilty pleasure in Downtown Frederick. 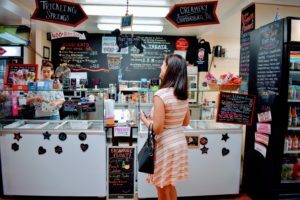 Just pick your own soda (there are only 400 flavors to choose from, so get ready to be overwhelmed), get a couple scoops of ice cream and you’re on your way to the perfect portable dessert. 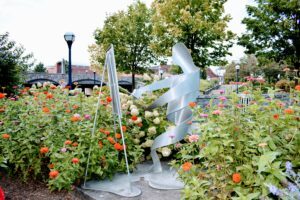 You can either hang out in front of the shop and watch the world go by on Market Street, or take your float on the move and walk over to Baker Park. We were out on a particularly gorgeous day, so we decided to take our floats to the park. Time for Happy Hour… you’ve earned it! 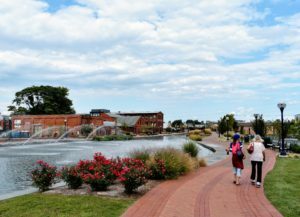 From Baker Park, round out your trip with a stroll along Carroll Creek. It’s the perfect one mile walk to the ultimate reward. 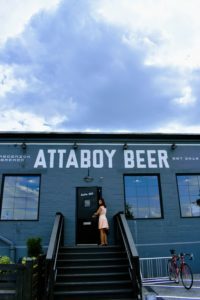 Attaboy Beer is one of Melissa’s favorites, with their rotating taps and crisp, seasonal flavors poured straight from the side of a refrigerator truck, Attaboy is the perfect happy hour location. 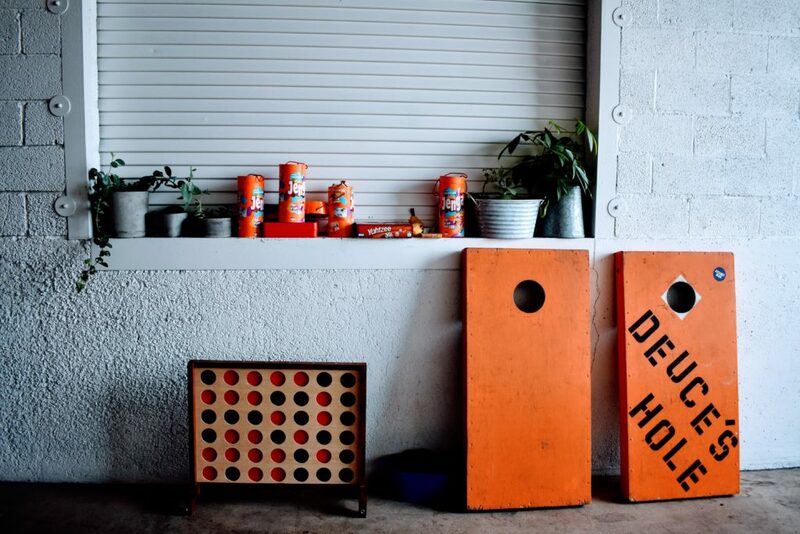 While you’re sipping on a brew (or two) you can even entertain yourself with a game of shuffle board, corn hole, or (our personal favorite) Bananagrams. 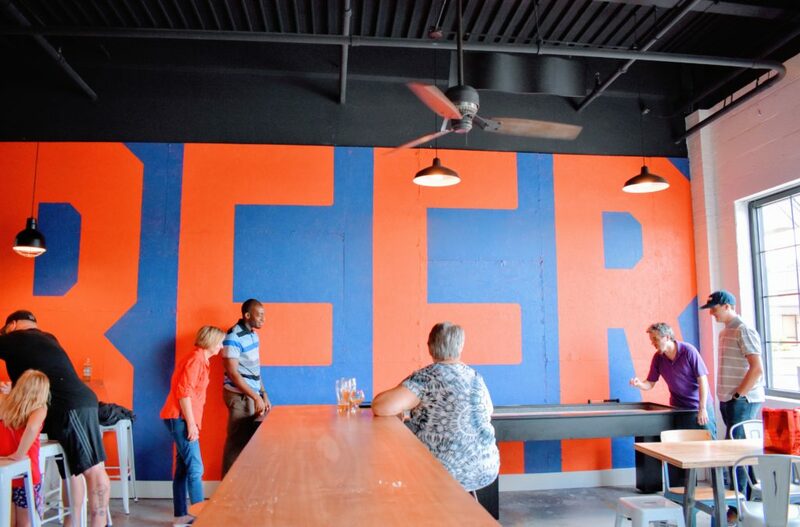 Their indoor/outdoor beer garden lets you hang outside, no matter the weather. 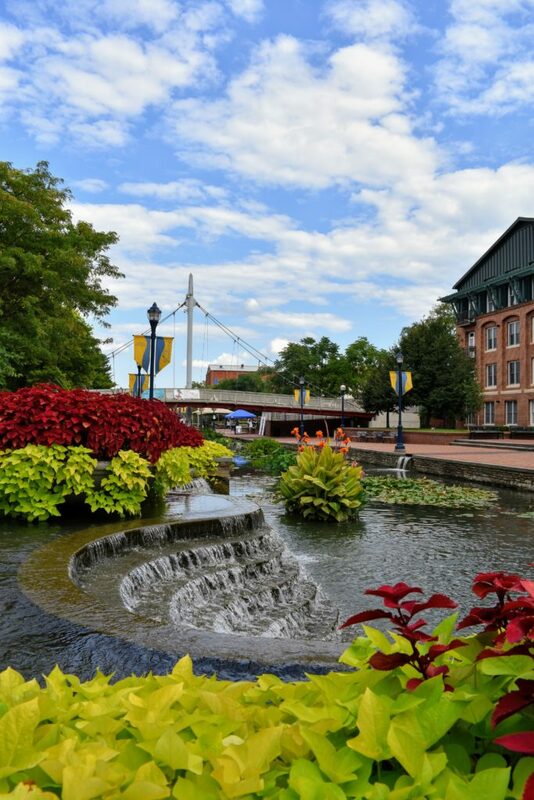 So CHEERS to your weekend in Downtown Frederick! Have a blast and get ready to fall in love with the little city that keeps on giving. 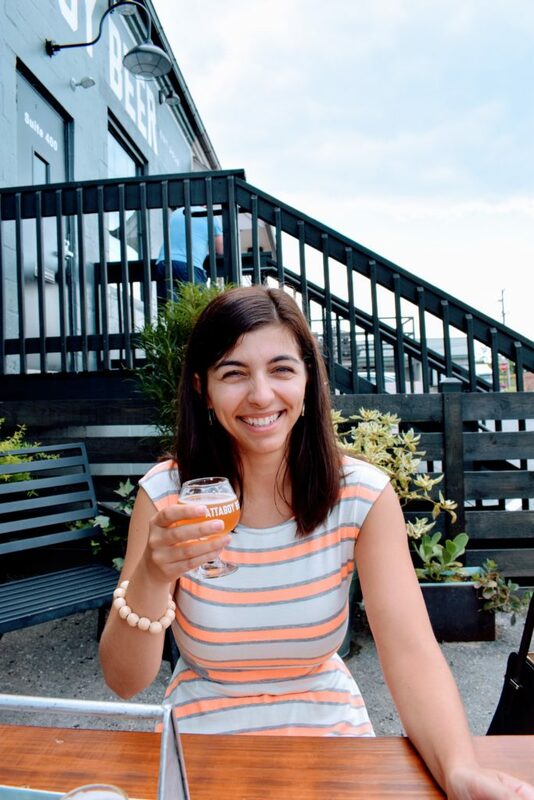 A special thank you to Melissa Muntz, Marketing and Communications Coordinator for Visit Frederick for being our Downtown Frederick tour guide. 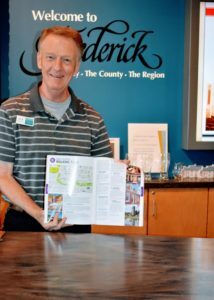 KEEP IN TOUCH WITH VISIT FREDERICK!